SPEAK: I won a Liebster Award! To be given an award for doing what you love is an incredible feeling. I am so flattered to receive an award as heart-warming as the Liebster Award. 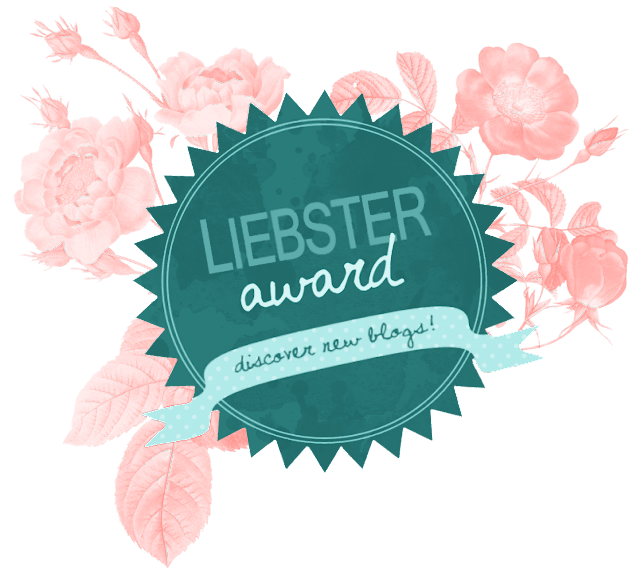 The Liebster Award is an award that only exists in the internet and is given to a blogger by a fellow blogger. I was actually nominated by four lovelies: Renee (The Random Bibliophile); Danica (Caffeine High); Kristine (The Blank Polaroids); and Karen (Karen - A Travel & LifestyleBlog). You guys know that I just started blogging not long ago, just this year in fact, and I was not really expecting to gain any followers or even friends! So this really made me smile from ear to ear. When given a Liebster, the awardee should answer the 11 questions given by the awarder (yes, it is a word, I googled it). Since I was nominated by four bloggers, I picked 3 questions each from their sets so I won't overwhelm my post with 44 questions. Hehe! 1. What made you pursue blogging? When I was in college, I used to stay up all night on Tumblr. I was a wallflower back then, I just read and reblog. I never had the courage to create something special and spread my thoughts. Now, I decided to make a change. I decided to set aside my insecurities and share to the world what I am capable of. My friends also pushed me, btw, they encouraged me to take chances and they made me appreciate my abilities more and more. 2. Who is/are your inspiration(s)? I actually love Kim Jones, Kryz Uy, Lissa Kahayon, and Rhea Bue. 3. What are your favorite blogs? My favorite blogs are: Thirstythought, Paper Doll, Camille Tries To Blog, AtsunaMatsui.com, Pau Dictado, and Love from Berlin. I admit that I'm obsessed with vlogs, too. My favorite vloggers are: KathleenLights, MichelleDy, and mesijesibeauty. 4. Name one thing you wish you were good at. 5. Would you live your life differently if given the chance? 6. What is your favorite word and why? Turquoise. It's an amazing color, a birthstone, and sounds like Tortoise. 7. What is one movie or song that made you cry? The Good Dinosaur. Just so you know, I also tear up when someone presses the steal button in The Voice (crybaby, I know). 8. When was the last time you laughed so much that you actually burst out in tears? 9. What is one thing that you’ve learned about love? It's the right love if it's selfless. 10. What one piece of advice would you pass on to a new blogger? Be yourself! Do not try to copy or imitate anyone because you're always going to be the best version of yourself. 12. Aside from blogging, what are you most passionate about? For my nominees, below are the questions I have for you. 4. What's your all time favorite TV series? 5. If you're given a one-way ticket to somewhere, where would it be? 6. Pizza or bacon? Choose only one! 7. What would you do if your celebrity crush shows up at your front door? 8. You hear the fire alarm. What would you pick up first and bring with you to evacuation? 9. In the middle of the night, you wake up amidst of a bad dream. Who's the first person you would want to talk to about it? 10. When you were thinking of a blog name, what were your choices? 11. What is your message to all your readers? To all my nominees, I hope you accept this award and have fun answering my questions! I'm looking forward to reading your answers. To Renee, thank you for being so warm and I extremely appreciate your awesome blogger tips! To Danica and Kristine, thank you for being friendly and sweet to me, I really did not expect this! To Karen, thank you for being one of my first blogger friends in Bloglovin', you're so sweet! And as you've noticed, I have my own domain now! HEHE. Follow my blog with Bloglovin! Have you heard of the Liebster Award? If you have any questions, comment them down below! Congratulations! I remember when I got nominated for this award I was so excited, I thought nobody read my blog but I was wrong! Loved your answers! Love your choice of blogs/bloggers! So glad to know that I'm not the only one who cries when someone presses the steal button!!! HAHA I'm like "yes darling u get another shot at life, go reach for your dreams". How wonderful you wouldn't change your life even you had the chance! Thank you so much for the interesting answers and especially you nominated me <3 I feel very honoured!